After a great week at the beach, we are spending our 4th of July making the 20 hour drive home. The last day of a vacation is always bittersweet to me; sad that it’s time to go back to reality and leave the beautiful place we are visiting, but at the same time I’m somewhat ready to be home and sleep in my own bed! I hope everyone has a wonderful time celebrating today! 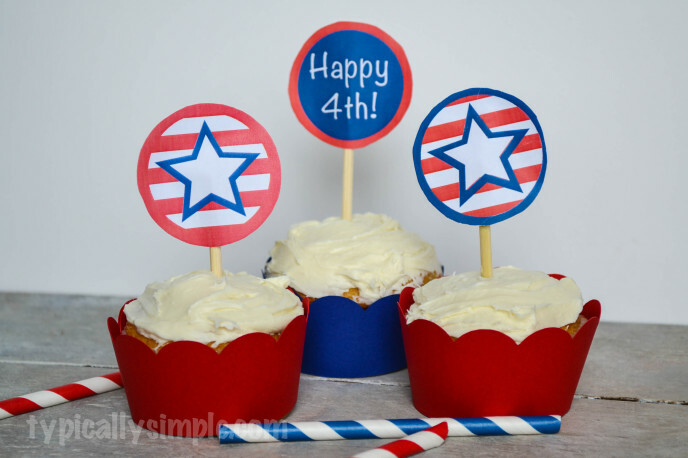 And if you are heading to a party with some cupcakes, be sure to check out these super cute 4th of July cupcake toppers I designed for a guest post over at Reasons to Skip the Housework.